IMPORTANT (29/09/16): Modafinilcat has announced that it is shutting down. In it's place, we recommend AfinilExpress -- we gave it two thumbs up in our review. This review is here for historical purposes only and is no longer relevant. Tl;dr, ModafinilCat is the modafinil provider you want to use. Seriously - there's no need to look anywhere else. There are other companies that are good as well, but ModafinilCat is a fun company run by a good and reliable bunch. The rest of this review will go in depth into the provide and just why we think they are so great but, in short: They ship to customers around the world and are experts at customs; The website is out there but intuitive and easy to understand; They offer a real-time tracking system which, I warn you, is highly addictive (you may be looking at it a decent amount depending where you live); They accept whatever form of payment you want - including Bitcoin; and to top it all off, their service is top-notch and will leave you with a good feeling whenever you talk to them. Free Shipping, Wherever You Are: Modafinilcat is based in India but offers shipping anywhere in the world. Unlike most other suppliers, their shipping is free, regardless of your location. Liberal Refunds: Should something get lost in transit or be unsatisfactory, you can choose between a full refund or have them send out another shipment at no cost. Tracking: The company launched "ModaTrack" early on. They call it "the most advanced parcel tracking system in the online pharmacy industry" and it really is quite nice. See where the package is in real time along with e-mail notifications. 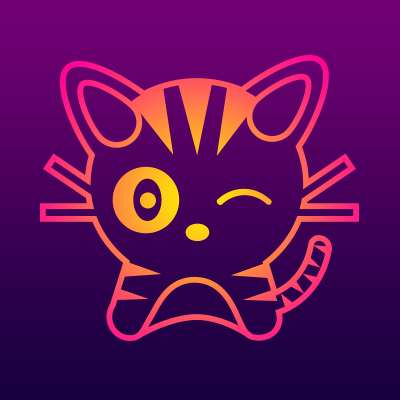 What a Website: It's purple, and neon gold, filled with cats and, more importantly (? ), a pleasure to use and order through. Repeat Business Discount: Modafinilcat offers a returning customer discount. The transaction code from any previous transaction can be used as a promo code for 10% off future purchases. Flexible Payment Options: - Credit Card (MasterCard & VISA), Bitcoin, etc. Modafinil Only. As their name suggests, Modafinilcat is a Modafinil supplier. While they offer a number of different brands of Modafinil (ModAlert, Modvigil, Waklert & Artvigil), if you're after something else, you'll have to look elsewhere. Modafinilcat’s tracking system, ModaTrack, allows you to log in at any point of time to see the status of your shipment. In addition, you will receive e-mail notifications every time it passes another checkpoint. As Modafinilcat ship from India, depending on your location, shipping can take anywhere from 1-4 weeks and, as such, ModaTrack is great to have. Modafinilcat’s prices are attractive and very competitive within the market. In addition to their pricing below, Modafinilcat offers a 10% discount to returning customers, a 20% discount for paying in Bitcoin, and a “sample pack” with 10 of each pill for $80. In a sea of spam and scammy websites, Modafinilcat website is a refreshing change. Beyond the site’s funky design, it’s easy to use and has some great information on dosages, the difference between Modalert, Modvigil, Waklert and Artvigil, and a very built out FAQ. If there’s one place where Modafinilcat really shines, it’s in its customer service. The team responds extremely quickly to e-mails and can be reached through Twitter and Reddit (a bastion of support for the company) as well. The staff are friendly and generous as is the company in general with very liberal refunding / reshipment, etc. Buying Modafinil can be a shady and unpleasant experience – not so the case here. What's the Verdict on Modafinilcat? As I said in the beginning, if you’re looking for Modafinil – look no further. Modafinilcat is top of the pack in terms of prices, an easy to use website, repeat customer discounts, free international shipping, customer support, shipping times and, of course, access to quality Modafinils. A highly recommended supplier. Very honest review and 100% truthful. These folks are equal to Amazon when it comes to customer service. After all these years of crappy Online Med Suppliers we finally have an A++ Source! Outstanding Supplier! Glad it worked out for you, Dave!